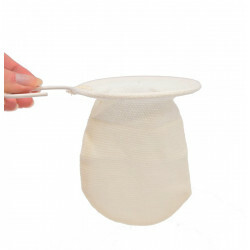 Reusable tea filter made of cotton. This tea filter is very useful to infuse loose tea in a teapot. It is washable and reusable.